“Heading into the season I’m certainty nervous,” he admitted to SHORT TRACK MUSINGS. “I have NO seat time in a late model at all. Fortunately, I do have a race under my belt in a super late model, which was a great experience, even though we didn’t get to finish that race from a mechanical failure. The decision to move into the APC Series was an easy choice for Lake, in seeing the growth the Pro Late Model division has experienced over the past couple years. “I am the type of driver where I enjoy rubbing fenders and a textbook bump and run are fair game; it’s short track racing after all,” he said. “However, the last couple of years in super stocks, it’s been no secret I haven’t been having much fun as the racing and overall attitude on and off the track has been plain disrespectful. We all work way too hard to make the cars presentable and turn the corners to race that way, and frankly, I was tired of it and needed to move on. Knowing the level of competition he is up against and the fact he enters the year without any seat time, he is hoping to be a top-10 contender across the province. As noted, the competition level of APC is at an all-time high with returning champions and race winners, including J.R. Fitzpatrick, Andrew Gresel, and Jake Sheridan, among the several others. “They know their stuff and they all can wheel a car, no doubt about it,” Lake commented. “They have all figured out how to finish these races and are running up front at the end more often than not. For me, getting all the laps in and finishing every race is obviously crucial to development and becoming a contender and not just a car in the field. Nothing pays dividends like race condition learning experience. Everyone out there can turn a fast lap on their own, not everyone understands setting up a pass and working through the field with a fast car. “Late model racing as a whole in Ontario is interesting this year. It’s a mix of a lot of guys moving into brand new equipment and selling off their good used stuff. There’s years and years of experience, and some with no late model experience and some with no racing experience at all. It’s certainly going to be a trying time as people learn what these cars are capable of as well as what the drivers are capable of. The APC Series schedule will be hitting five different tracks across the province for 10 races, including a pair of events at Jukasa Motor Speedway. “Well, I think everybody and their brother are excited about Jukasa,” Lake said. “It’s such a premier facility that you always look forward to getting the chance to race there. I have always enjoyed my time at Sauble (Speedway) as well. It’s tighter, but can be racey. 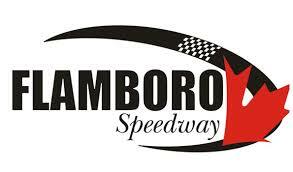 Alternatively, Flamboro Speedway and Sunset Speedway bring up some butterflies, based on past race experience. For Lake, he has been surrounded by racing his entire life, named after Darrell Waltrip with his birth announcement racing-themed. “I was driving a go-kart and parking lots at the age of 5, racing by the time I was 9 and realized I was in the street stocks which evolved to super stock for 14 years, not the 12 I had initially thought,” he commented. “Genuinely, racing is in my blood. I may be able to fall asleep in the car on pit road before the race, but it’s my own way of getting focused and mentally prepared for each race before they actually begin. I am extremely fortunate to have parents that love racing as much as we do and allowed me that freedom growing up. I think starting racing young helps develop a driver and a person faster. You mature quicker and learn responsibility from a young age. Through the years, there’s been several moments that stand out for Lake’s career. However, the most memorable would be his first career Street Stock victory. LDS is a class act!